John Nichols on the attorney general, Greg Grandin on Trump’s wall, and Adam Hochschild on Woodrow Wilson. 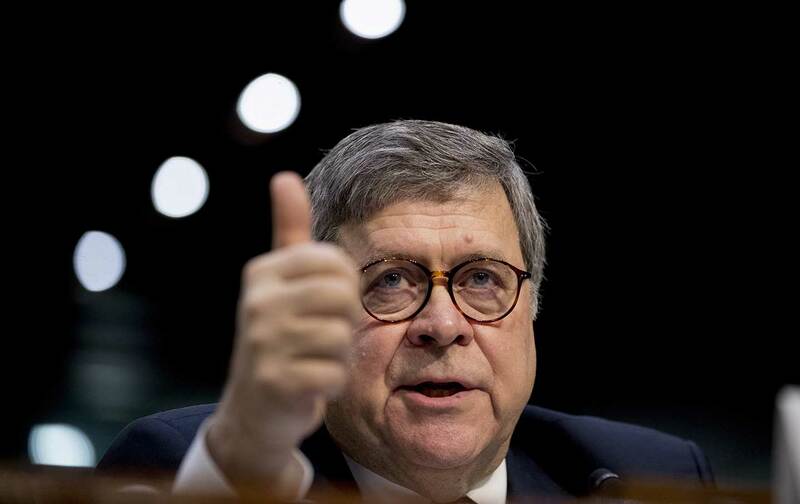 Nobody should be satisfied with Attorney General William Barr’s account of the Mueller report, says John Nichols. We had assumed that the independent counsel’s investigation into obstruction of justice would conclude one way or the other. Instead we have Barr making exactly the kind of political decision—by a Trump appointee no less—that the independent counsel’s office was created to prevent. There’s no substitute, Nichols concludes, for seeing the full Mueller report. Also: In the wake of the Barr letter, Trump is calling his opponents “treasonous.” He’s vowing to pursue and punish those responsible for the Russia investigation. What would it be like if he got his way, if there were no way to restrain him? Historian Adam Hochschild says it would be like the three-year period of censorship, mass imprisonment, and deportations during World War I, under Woodrow Wilson. His new book is Lessons from a Dark Time. Plus: Trump’s wall has become a powerful symbol of a radically new idea about what America stands for—replacing the myth of the frontier as a place of possibility, rebirth, and freedom. Historian Greg Grandin talks about the wall, the border, and the frontier—his new book is The End of the Myth: From the Frontier to the Border Wall in the Mind of America.